Handsome & Co. | Structured Fine Woodworking – What To Expect. Structured Fine Woodworking – What To Expect. NOTE: all terms are stand alone and while they compliment each other, students may join our ‘Structured Fine Woodworking’ at the beginning of any term, as attendance of prior terms is not necessary. 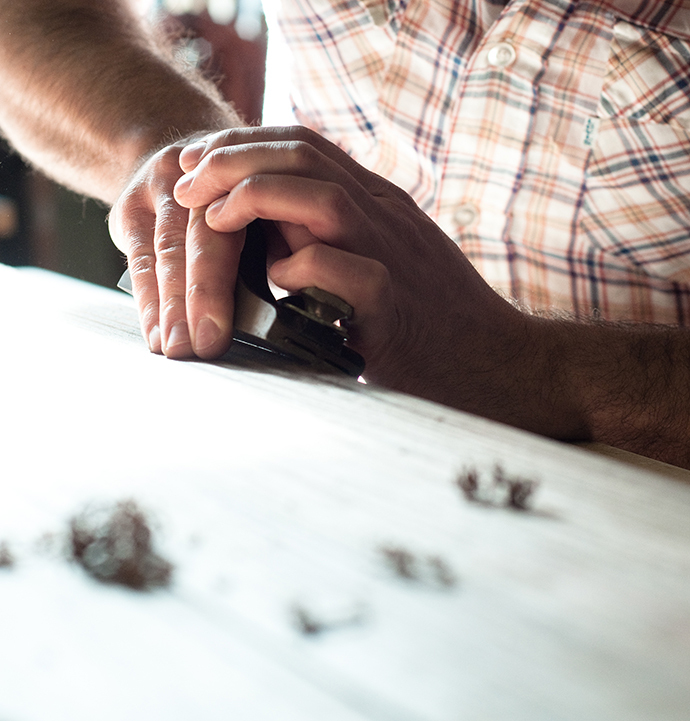 Learn how to look after your hand tools, set them up and apply them accurately to the construction of a range of wooden hand tools. Each small project in this component of our structured series, is a significant exercise in how to use the traditional hand tools correctly. Select, use and maintain hand tools. Methods in marking and measuring for accuracy. Sharpening & maintaining an edge. In this component of our structured woodworking series, students build a ‘Shaker Night Stand’ that incorporates a traditional drawer, as an introduction to leg and rail construction and a foreword into the processes in cutting dovetail joints. Understanding and working with timber movement. Methods and joinery in leg and rail construction. Furniture construction can be broken into two main categories: carcass and frame. In carcass construction, boards are joined end to end using dovetails, finger, mitre, tongue-and-groove joints etc. But it’s difficult sometimes to know which joint to use. In this component of our structured series of woodworking, students will be instructed in the methods of laying out and cutting a range of different box joints in the construction of small piece of furniture. Work from technical plans and drawings. Fundamentals of frame & panel construction. Construct and assemble a carcass using box joints. Dealing with angled joinery and curved parts exposes you to another territory of woodworking. Learn a range of curving techniques that may include, steam bending, laminate bending or kerf bending and the subsequent methods in applying them to a furniture piece. Develop a range of hand skills in marking, measuring, cutting and fitting joinery, specifically focused on the construction of a chair, with strength and ergonomics as the chief focus. Produce curves and shaped wooden components. Construct a chair using a variety of methods of bending.